Thanks to the dramatic shift in the scope of responsibility seen in recent years, CFOs are under more pressure than ever before. US Capital Partners’ Jeffrey Sweeney explains how to secure the most favorable financing in a highly fragmented marketplace. Few people pause to reflect on what has happened to the CFO’s role and leadership position during the past 15 years. Today, the CFO’s role is no longer restricted to ensuring that the company performs its core accounting and reporting duties effectively and efficiently. CFOs now find themselves managing people, systems and technology infrastructure amidst intense regulatory scrutiny. The modern CFO is now expected to fulfill a far more strategic role in organizations. While CFOs were once required merely to provide an accurate analysis of the figures, they are now expected to provide a reliable forecast of future scenarios and risks. CFOs are required to be a source of business intelligence and financing, and to have an almost all-encompassing view of factors affecting business performance. The regulatory environment has also changed, placing additional pressures on many CFOs. The recent global recession required CFOs to use every tool available to guide their companies through a business downturn of unprecedented scope. CFOs had to shift their focus towards long-term business growth, while continuing to take tactical measures to safeguard their companies. Many CFOs are feeling increasingly optimistic again about the outlook of their businesses. 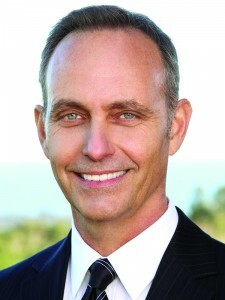 According to the 2015 Pepperdine Private Capital Markets Report, 67% of privately‐held businesses surveyed believe growth opportunities will increase throughout 2015, with more than half (57%) planning to hire additional workers.1 As the broader economy continues to show signs of steady recovery, CFOs are looking to take advantage of upcoming growth opportunities. The financial landscape has also changed significantly since the financial crisis, especially for small- and medium-sized businesses (SMBs). Credit markets are biased toward bigger businesses, and that bias has become more pronounced since the crisis.2 As a result, many CFOs continue to find it difficult to secure the funding they need to capitalize on emerging growth opportunities (see chart on page 42). Traditional banks rely primarily on credit worthiness to determine how much and at what cost to lend to a business. With mounting pressure from regulators, banks have been tightening commercial lending standards once again. Consequently, smaller companies have been seeking financing from alternative capital sources, as banks struggle to compete in the space. However, the alternative lending market, especially for SMBs, has dramatically changed in recent years and is now highly fragmented. It consists of many small, medium and large lenders with a great diversity of product offerings, costs and favored assets. This shift in the marketplace puts added pressure on CFOs, as they try to secure the most favorable financing for their SMB. Even CFOs of larger companies are finding themselves “underbanked.” Traditional unitranche lending from the commercial banks is still difficult to find. As a result, many CFOs of larger companies are suddenly looking for financial solutions in the lower middle-market arena. On my way to Europe recently, I met a CFO who, like me, had just missed a flight because of a delayed connection. This turned out to be fortunate for both of us because as we were waiting for our next flight, we talked about his company and a financing problem he was facing, and we found a creative solution to the issue he was trying to resolve. This CFO was running a worldwide manufacturing firm that supplies companies like Calvin Klein and Diesel. It was a $400 million publicly traded company. However, the company’s European bank was no longer able to provide the credit necessary for its divisional operations abroad. The smaller divisions were no longer allowed to be part of the parent company’s borrowing base. This company had a foreign subsidiary selling directly to the U.S. where the company had a modest sales office. Financing was proving costly for the business because it was more difficult to perfect title on these accounts receivable assets originating abroad. US Capital Partners advised the CFO to make an inter-company transfer of its merchandise to its U.S.-based company, which would then generate the invoices to its U.S. customers. This resolved the collateral securitization issue. Through this simple but highly effective solution, US Capital Partners was able to secure a very reasonably priced credit facility of $6 million to $8 million for the company’s foreign subsidiary, using these newly created U.S.-based assets as collateral. Although the parent company was a 150-year-old large, publicly traded manufacturer, its CFO was obliged to look for a financing solution in the fragmented middle-market lending space. This financing space was completely unfamiliar to the CFO despite years in his position. The CFO’s former option of using the subsidiary’s assets for a large-cap bank line of credit was over. Therefore, he was forced to look for a creative solution to get the needed financing. Optimal SMB financing can require several different specialty lenders. Finding the right lenders and coordinating between them to engineer an optimal financing solution can be highly challenging. At a time when pressures on CFOs are at an all-time high, there is a need for third-party specialized help. Most SMBs are not familiar enough with the ABL lending market, ABL appraisers or even the customary practices that occur between ABL lenders to create optimal solutions. While most SMBs have been bank customers, many have not dealt extensively in the fragmented ABL world, so it can be helpful to bring in a specialist investment banking advisory firm that can coordinate between the borrower and the different ABL lenders to engineer an optimal solution. An ideal third-party advisor will have experience in the same size and sector as the borrower, and with the possible problems that can arise. Such an advisor will need to know how to present a case from a lender’s perspective in a way that banks and alternative lenders will grasp immediately. It is helpful if the advisor has the ability, if required, to provide capital as a lender as well. A specialist investment banking advisory firm should be able to deal with requests promptly, getting back to CFOs with a range of possible terms in days. In the possible case of decline, the firm should be able to provide reasons and, more importantly, milestones to reach in order to get the financing needed. It’s easy to understand the pressures of a modern CFO and the challenges they face in arranging optimal financing for their business. Given an environment where available sources have broadened to encompass a wider array of bank and nonbank lenders, the smart choice may be to seek an experienced advisor that knows the market and can facilitate the most suitable outcome. Craig Everett. 2015 Pepperdine Private Capital Markets Report Pepperdine University Graziadio School of Business and Management. pp. 69 and 83. Ruth Simon and Angus Loten. “Small-Business Lending Is Slow to Recover.” The Wall Street Journal. August 17, 2014. Craig Everett. 2015 Pepperdine Private Capital Markets Report. Pepperdine University Graziadio School of Business and Management. p.69. Craig Everett. Pepperdine Private Capital Access Index, Second Quarter 2015. Pepperdine University Graziadio School of Business and Management. p. 33. National Small Business Association. 2015 Mid-Year Economic Report. p. 10.